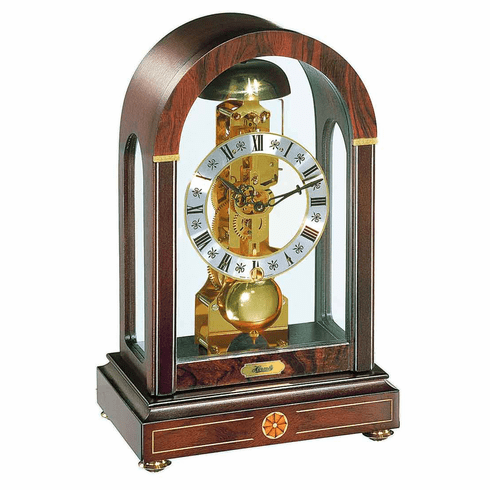 This mantel clock features a walnut case with burl wood inlays. Mechanical skeleton movement. 14 days power reserve. One strike on bell per hour. Dimensions: H: 12", W: 8", D: 6"